I know what you’re thinking, KL isn’t my usual go-to party town either – but sometimes we find ourselves in such a place for other reasons. It’s a rather simple backdrop to any travel story but the complexity is in the experience. 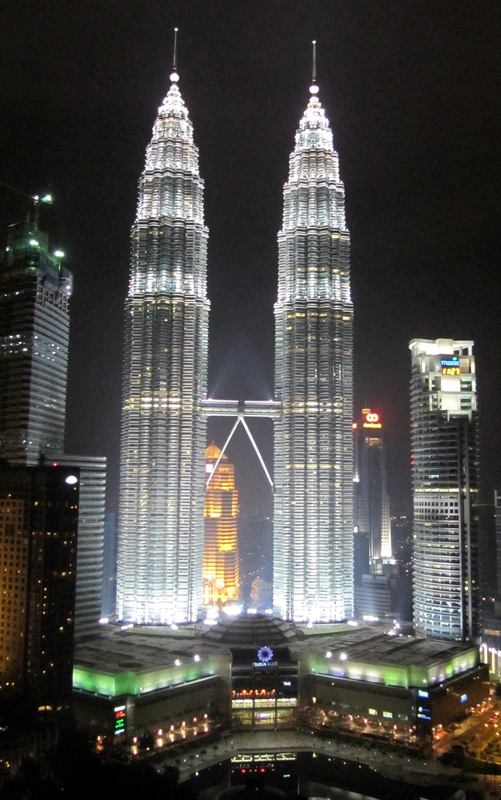 KL has a lot to offer after dark. Do forget your map, amble about aimlessly and while you are there, why not check out the nightlife? Before you go out you probably want to eat something. I am so very lucky that I have AN to take me around because the first place she took me to was Restoran Sun Ming – the building itself is shabby and nondescript – to the untrained eye Sun Ming (137 Jln Sarjana) could just be another colourless local restoran – but this Cantonese Restaurant, which is jammed full of Chinese Malaysians all the time, is blindingly good and inexpensive. We are always squeezed onto a plastic table somewhere but don’t expect your own. I have no idea whether or not they accept reservations, we just turned up, they are open every day except Tuesdays. Don’t be put off by the sad little duck carcasses in the window, they have all died for a good cause and I am sure their souls are in ducky heaven. I try not to look at them…. 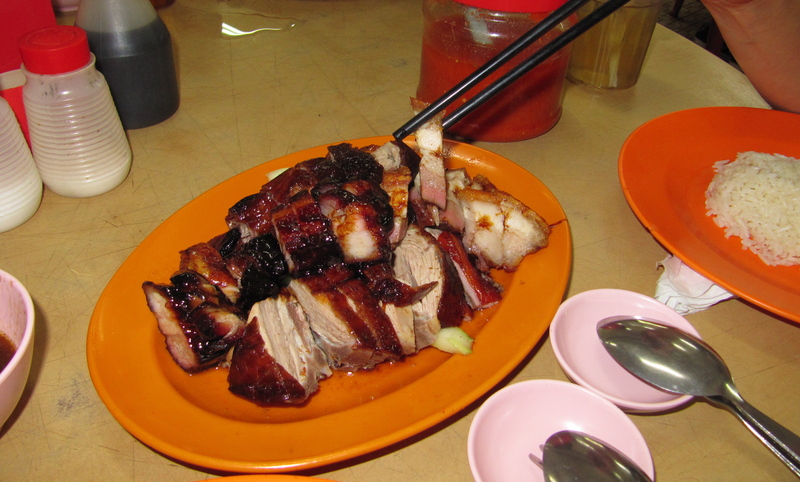 Even though Sun Ming specialises in duck and pork, nothing is greasy, their rice is perfect and everything is fresh. 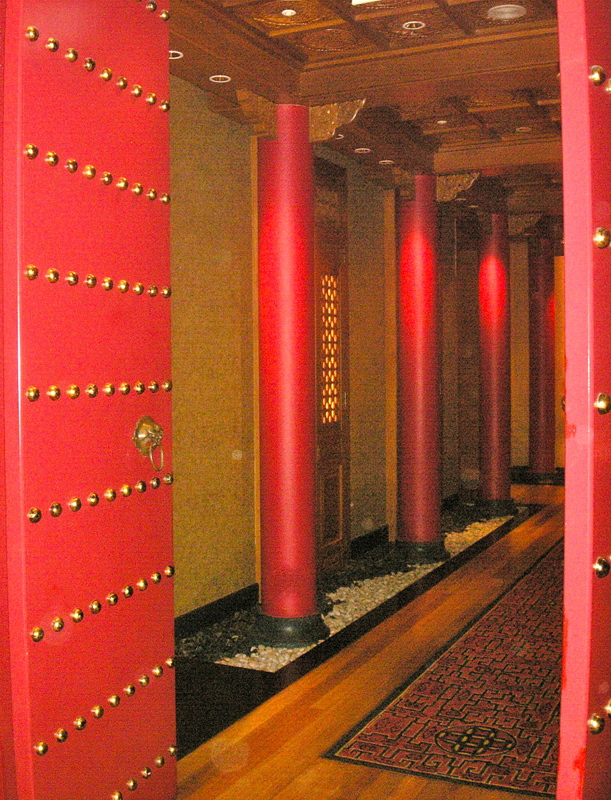 A more upmarket option is Shang Palace in the Shangri La Hotel with it’s impressive Chinese palace decor and very memorable fried rice and dumplings, which I opt for if I am alone rather than the amazing but excessive banquets. Do give them a try if you go in a group of 3 or more. 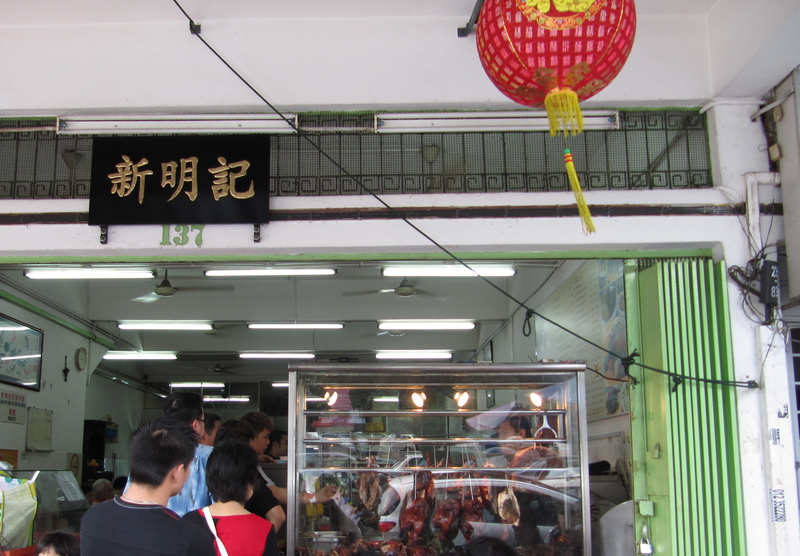 The Cantonese food in KL is one of its best features for the visitor. 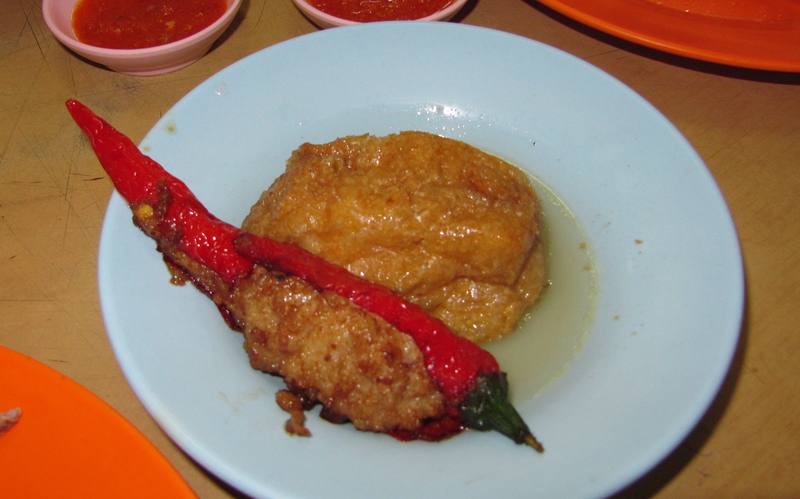 Some reasonable satay can be found at most street stalls but make sure they are just cooked! I am not sure if such stalls are regulated by health authorities – freshly grilled is usually fine, just be aware. 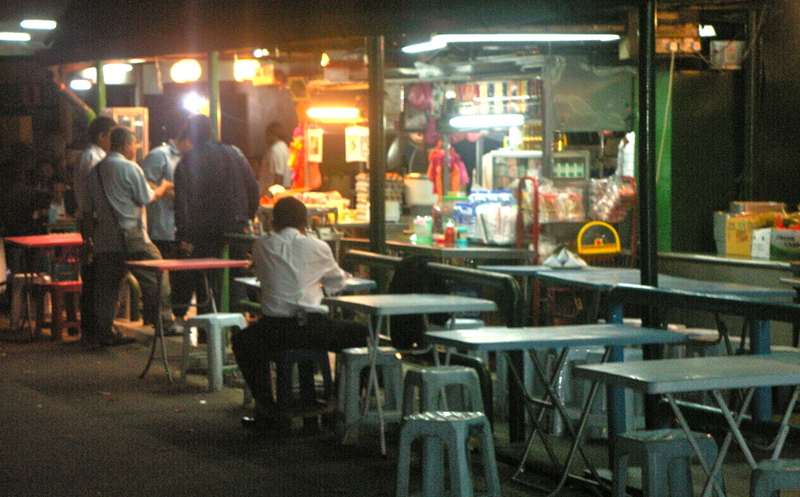 Satay at street stalls are very cheap and great for dinner. I always make new friends at these joints. Frangipani is a cool french restaurant and bar right near Bukit Bintang. 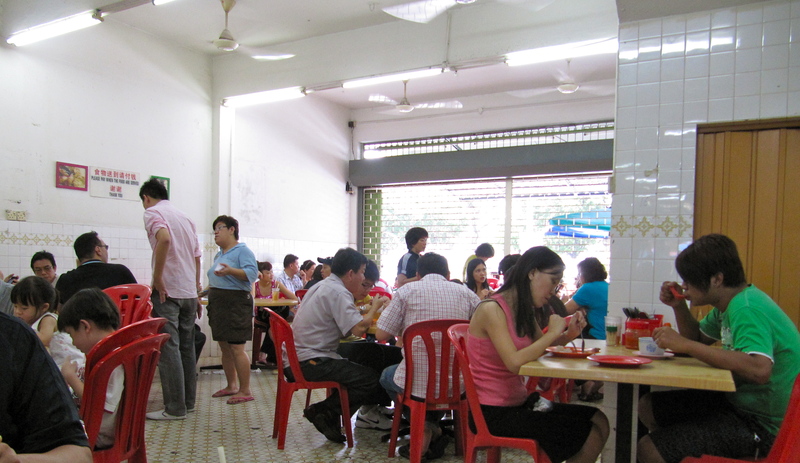 It has a great atmosphere and great cuisine without being to fru-fru and pretentious. I think it’s a perfect place to start your big evening in KL. 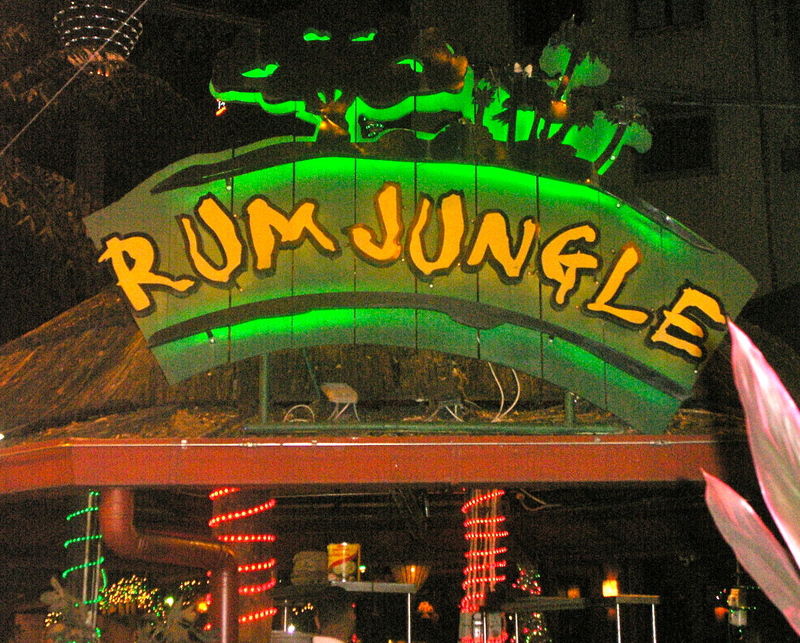 One of the first bars I ever went to on my first trip to Malaysia was Rum Jungle (Jln P Ramlee) I think I went in because I wondered want goes on in a sordid, decrepit little hut like Rum Jungle. I found a club, a bar and a VIP lounge. Rum Jungle is home to the worst toilets in Malaysia – that is quite a claim, but they are just repulsive. Between the scary hookers; ramshakle, rainforest chic and the remains of a trampled rat outside the entrance you’d think it’s a place I would avoid. Nonetheless, I always take a new visitor for one or two at Rum Jungle, as it’s quite fun, but we move on when it’s time for the powder room and I insist on covered footwear avoid any close encounters with squashed Mr. Ratty on the way out. 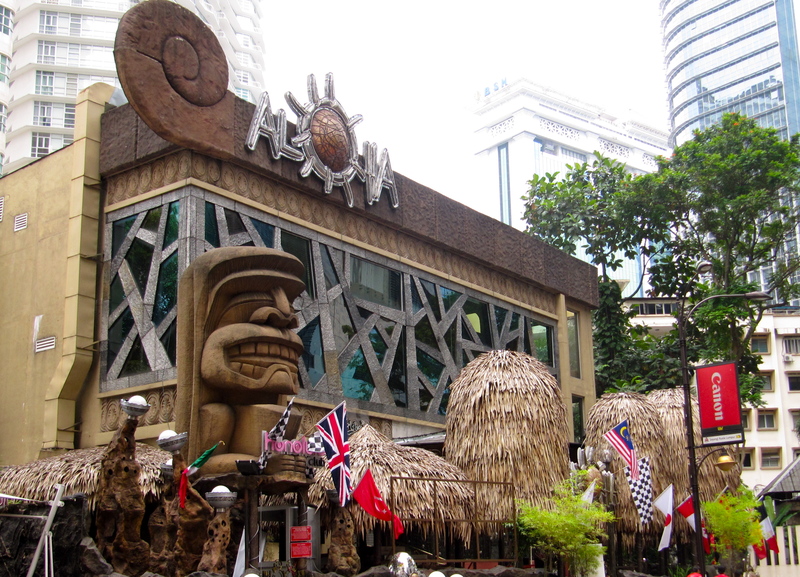 Aloha is another fun bar/club just up from Rum Jungle. 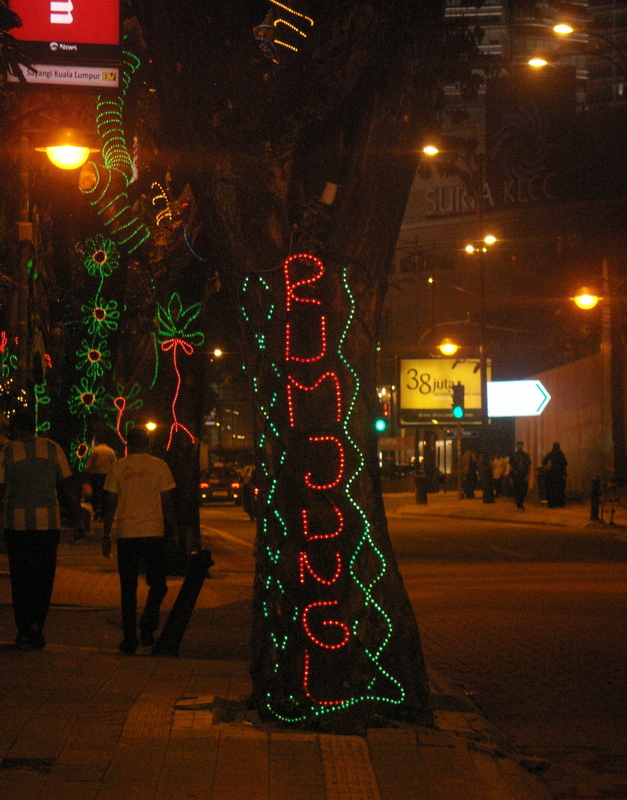 It’s fun, full of young people and tourists and is markedly cleaner than Rum Jungle. Now, if you want to find somewhere that isn’t sleazy, it’s a bit of fun and relaxed with a clubby vibe then head to Skybar at the traders hotel (AN is there most nights, you will see her) on the 33rd floor. Enjoy a cocktail (like their fizzy Kiwitini) around the pool and have a bit of a dance, the music is always impressive. Back to the Shangri La: It’s not just the L’Occitane goodies in the suites that keep me coming back – their breakfasts are amazing: satay, pineapple and pastries in one meal makes me very happy. 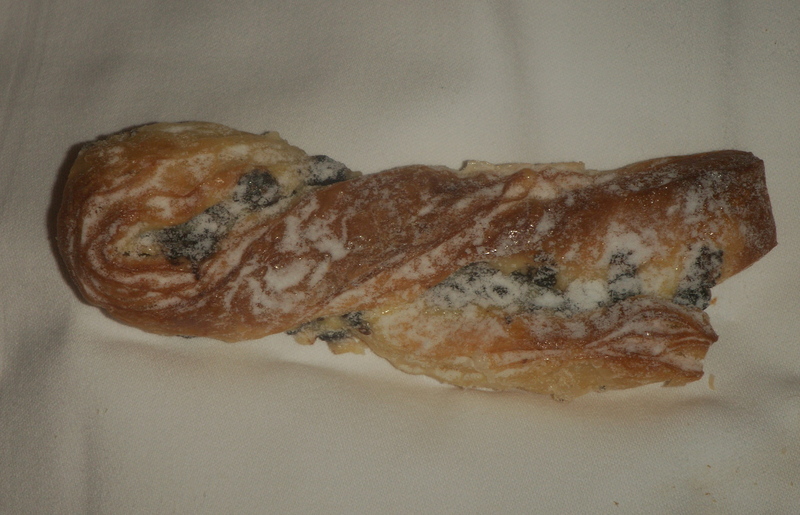 And what pastries!!!! 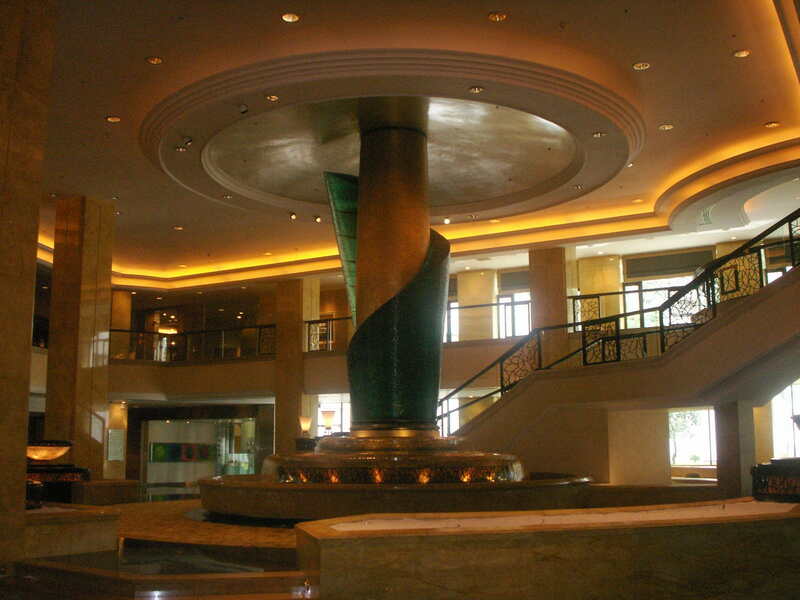 For those of you commoners who don’t stay there, at least go to the lobby and have a drink or a coffee. They also have a lovely patisserie, and imposing fountain and orchid displays. You can watch the pond with the turtles, which is always a highlight for me. 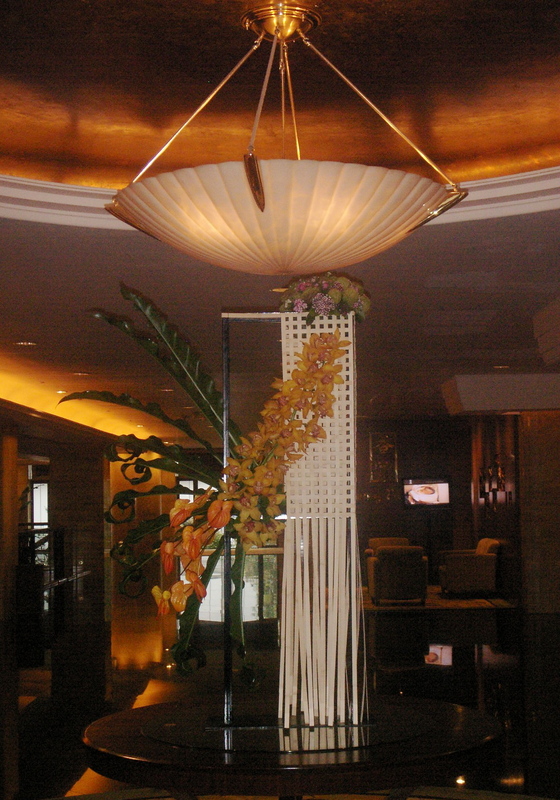 The stunning Shangri La lobby. If you find anywhere else noteworthy during your soiree in KL then do share them with us. Have fun, avoid the rodents.